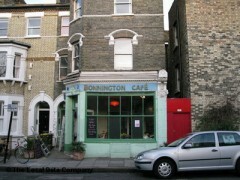 About: The Bonnington Cafe was originally set up as a kitchen for the use of local squatters. Over time it has become one of London's most recommended vegetarian restaurants. A three course meal is around £9 per head. This co-operative café has a rota of chefs that is constantly changing, as does the menu. It’s vegetarian but one night of the week is reserved for vegan food. It’s also one of London’s cheapest eateries, with all main courses priced at £8, and a BYOB policy with no corkage fee that also helps keep costs down.